Today I read an article in Domain Name Wire how we can prepare for GDPR. I recommend to read it, really good advices. Since I am located in Europe GDPR affects me a lot. First advice from Domain Name Wire article is to transfer all domains that we want to switch registrars. I already done that, I transferred all my domains that will expire this year. 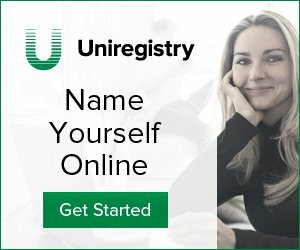 Most of my domains I acquire from NameJet and I have numerous domains in Enom.com, but my registrar of choice is Uniregistry. I am using discount pricing in Uniregistry and dot com register and renewal costs me $8.67 per domain per year. Same thing in Enom will cost me $49.95 per dot com domain per year. Imagine if you need to renew 50 domains and can’t transfer easily to your registrar of choice. Hopefully the domain name transfers won’t be so difficult after GDPR.